One of the worst years on record, 2017 witnessed at least 11 major natural disasters causing significant loss of life and property damage across the world. Rescue efforts, awareness and worldwide help were the few things that using social media during natural disasters helped deliver. Such moments help us understand the prominent role social media has come to play not only in our everyday lives, but in moments of reaching out to others in need. The wise use of social media during natural disasters can be a beautiful thing. The spirit of Mumbai birthed one of the most beautiful acts of kindness in a city struck by a flood, as citizens offered help, food and refuge to stranded fellow citizens. 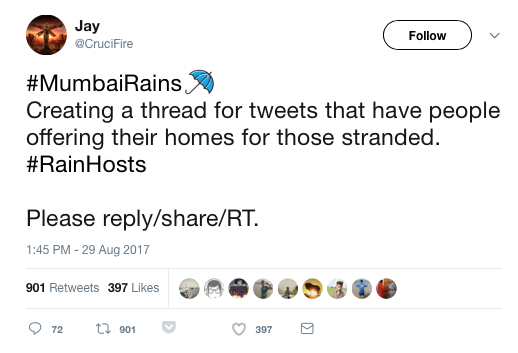 Mumbaikars took to Twitter, reaching out to thousands of people, uniting under the hashtag, #RainHosts. While #RainHosts has been a people led initiative, there are various official social media resources for disasters too. The Facebook Safety Check, introduced a few years ago helps family and friends know you’re safe if a disaster occurs near you. Community Help is another Facebook feature, officially rolled out in February 2017 making it easier for users to notify others about the help they are offering. One of the worst disasters orchestrated by man occurred in 2015 in Paris when a series of co-ordinated attacks on the French capital were carried out by Islamic State extremists. Social media platforms were overcome with grief and paranoia as people worried for the well being of their kin. Facebook activated the Safety Check feature for everyone in and around Paris, helping millions heave a sigh of relief. Many such fatal incidents, that are at times beyond our control, occur and the best we can do is act in the moment and make the most of the resources at our disposal. Survival skills aside, knowing how to use social media during natural disasters is key. 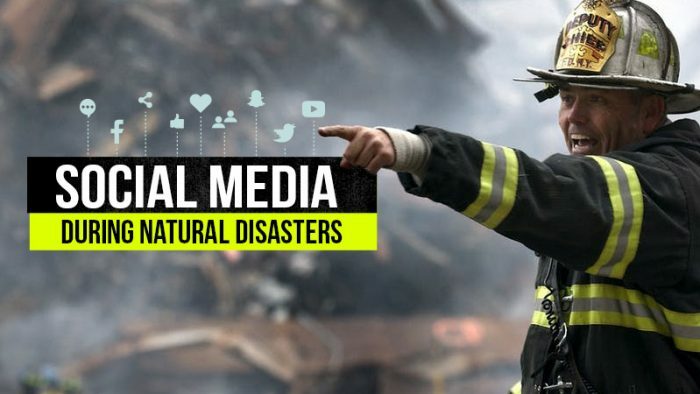 How can you use social media during natural disasters or other dangerous situations? 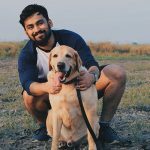 Twitter’s chronologically sorted Feed, and their real-time capabilities make it the perfect social media platform to help you stay updated with news and other developments from thousands of different perspectives. Following certain accounts that specialize in updates and helpful information in times like these. Weather updates, news and other information is readily available on Twitter and it makes keeping track much easier. Facebook and other social media platforms too help disaster victims to know what’s happening around them, and it helps people from all over the world know too. News is delivered by the minute and with Facebook Live and other live video functionalities on other platforms, information is delivered with lightning speed. Jammu & Kashmir, Himachal Pradesh and Uttarakhand will get heavy rains and some parts will get snow on Monday & Tuesday. Moderate rains likely in Punjab, Vidarbha, Eastern MP, Northern Chattisgarh and Light rains in Haryana-Delhi, Marathwada On 12-13 Feb.
Mumbai Weather is one of the most accurate Twitter accounts to follow for weather updates, and for other assistance, the Mumbai Police Twitter account, Ridlr Mumbai and others are exceedingly helpful. Instant messaging platforms, Location sharing and the Facebook Safety Check are all wonderful tools to keep in touch with all your family members and friends, since calling each and every concerned person can prove to be a huge hassle. God forbid, you’re stuck in a life-threatening situation, sharing a picture, video, location or an update on social media can help rescuers find you and save you much faster than if you wait, unbeknownst to them. Always make it a point to share your updated location if you are on the move. It helps your loved ones know where you are, and that you’re safe or on your way to safety. There are many good Samaritans who spring into action at times like these, proactively taking the onus to help others out. Social media can help like-minded people form a virtual community, helping them stay in touch and rein in more help. As proved by the #RainHosts movement on Twitter, help is only a few clicks away. During Hurricane Harvey, one of the most disastrous and strong hurricanes to have hit the USA, a Twitter user from Texas, Timothy McIntosh shared a picture of a flooded nursing home run by his mother-in-law, asking for emergency help. “Need help asap emergency services please RETWEET,” wrote McIntosh. His tweets caught the attention thousands on social media and the national guard was notified of the nursing home’s situation.” per ABC News reports. Help arrived and by the afternoon, Timothy McIntosh has successfully used social media in order to seek out help for the people trapped inside the establishment and they were safely evacuated. Much like the #RainHosts on Twitter, and Timothy McIntosh’s efforts, there are many instances when the astute use of social media during natural disasters has helped save lives and provided refuge to many. Stay alert, stay safe, and social media responsibly and promptly during natural disasters.